Tanorè works in the delicate Valdobbiadene area, on the borders between the small hamlets of Santo Stefano and San Pietro. This land comprehends hills, small valleys and steep slopes all sheltered on the north side by the pre-Alps, and bathed in sunshine all year round. The hill that houses the winery is the prized Cartizze, where grows the best Prosecco in the world. Oh yes, of the world: because the Prosecco was born right here, in these hills bouncing between cascades of golden vines, from Valdobbiadene till Conegliano, where the world of the Guaranteed “Superior Prosecco” ends. And the Cartizze is the Prince Hill of this little microcosm composed of 3,000 hectares of vineyards, because of its extraordinary and unique land that contains in its bowels the history of the world: between 20 and 15 million years ago this area was covered by a deep sea on whose floor stratified sands, clays and limestone levels. The rising of this seabed has brought to the surface these composite rocks that, due to the action of weather, vegetation and microorganisms have been transformed into the shallow sandy soil covering the Regolith (a mixture of sandy soil and rock). The particular characteristics of the Cartizze originate from this soil, rich in elements and history. 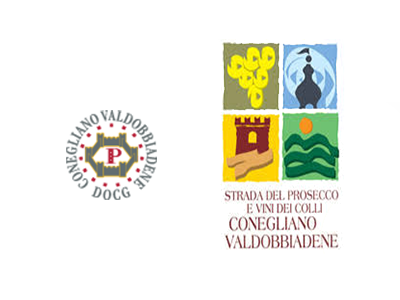 The remaining Tanorè vineyards are all located in the municipality of Valdobbiadene, and due to the great geological variety each of them have different characteristics. Hence the six typologies of Prosecco Superiore of Valdobbiadene. Mellow: Slightly sweet sparkling wine, with few residual sugar. Acidity: All the acids in the wine determining its health and pleasantness. Amabile: Sweet and full-bodied sparkling wine, sweeter than mellow. Carbon dioxide: Is produced during fermentation, in the bottle or in autoclave, and free itself as bubbles when the bottle is uncorked. Autoclave: airtight container in which is possible to regulate temperature and pressure, used for the production of sparkling wines with the methods Charmat or Martinotti. Brut: Dry Sparkling wine with residual sugar up to 15 g/l. Cru: Vineyard or uniform portion of the vineyard with unmistakable characteristics. DOCG: Denomination of Controlled and Guaranteed Origin, which in our case is attributed only to the Prosecco produced in the area of Conegliano and Valdobbiadene, for an extension of approximately 5,000 hectares of vines. It can be recognized by the tax band applied to the neck of the bottle. It certifies the superior quality of the Prosecco of Valdobbiadene, for it being subject to strict quality controls both in the vineyards and in the cellar. Dry: Sparkling wine with residual sugar between 17 and 35 g/l. Extra dry: wine with residual sugar between 15 and 20 g/l. Fermentation: Process of transformation of sugars into alcohol and carbon dioxide. Method Charmat or Italiano o Martinotti: The sparkling wine production process takes place in an autoclave. Classic method: The sparkling wine production process and the second fermentation take place in a bottle. Millesimato: Sparkling wine that comes from musts of a single vintage year of exceptional quality. In our case it is the custom selection of the cellar responsible, from the best vineyards. Perlage: Is formed by the bubbles of carbon dioxide that are emitted from the bottom of a glass of sparkling wine. They must be very small and persistent. Aftertaste: The complex of the sensations perceived after swallowing the sparkling wine. Full-flavored: Wine balanced in acidity and minerals.